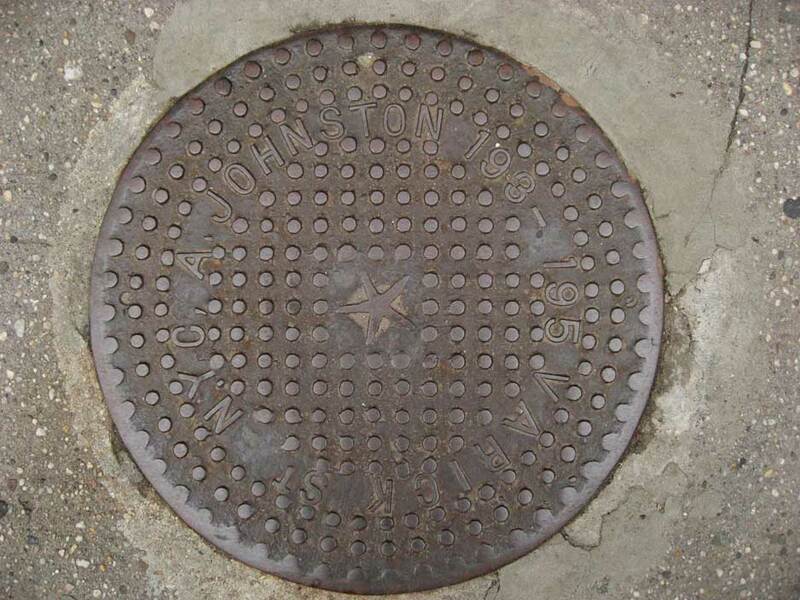 A. Johnston was a twentieth century iron works, founded in 1904 by Alexander Johnston (1858-after 1940). Alex Johnston was an immigrant from Scotland and was recorded in 5 successive U. S. Census reports from 1900 to 1940. In 1900 he was 41 years old and lived on North Henry St., Brooklyn. His occupation was "house smith," and his son, John, age 15, was an office boy, "house smith." Another son, James, was 14 and not yet employed. By 1910 Alex Johnston had his own business at 193-195 Varick St., Manhattan, and lived on Guernsey St., Brooklyn. In this same census Alex Johnston's son, James, was now 23 years old and himself a "house smith." In 1920 both Alex Johnston and James Johnston lived on Apollo St., Brooklyn (Alex at no. 34 and James at no. 30). Alex described his occupation as blacksmith, and James was an iron worker. In 1930 Alex Johnston, now 71 years old, lived in Rockville Centre, Nassau County, NY. Apparently he was still working and described his occupation as "Iron Worker Construction." In 1940 Alex Johnston, age 81, lived on South Main St., Islip, in Suffolk County, NY. He did not specify an occupation. Presumably he was now retired. A. Johnston, Iron Works, were located at 193-195 Varick St. from 1904 to 1926/27. By 1927 they had removed to 264 W. Houston St., where, in 1934 the firm name changed to A. Johnston & Son. The son was James Johnston (1886-after 1953). They moved again in 1947 to 71 Morton St., and then again in 1953/54 to 486 Greenwich St. A New York City Landmarks Preservation Commission report on 486 Greenwich St. says, "In 1953 the Brown Estate sold the property to James Johnston, Sr. (later owner of No. 488 Greenwich Street in 1966-75), and the building housed A. Johnston & Son Iron Works, Inc., until at least 1975." The Manhattan telephone directory continued to list A. Johnston & Son at 486 Greenwich St. through 1986.